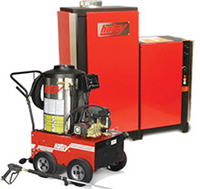 We would be happy to provide a quote for our pressure washers, detergents or parts and accessories. Please let us know what you’re looking for, and we'll contact you within 1 – 2 business days. Please provide as much information about your cleaning needs, as well as your phone number in case we have questions. We promise not to share your information, as we respect your privacy.